Can we have a moment of your time? We’d really like to talk about the new issue of ‘New Philosopher Magazine’. 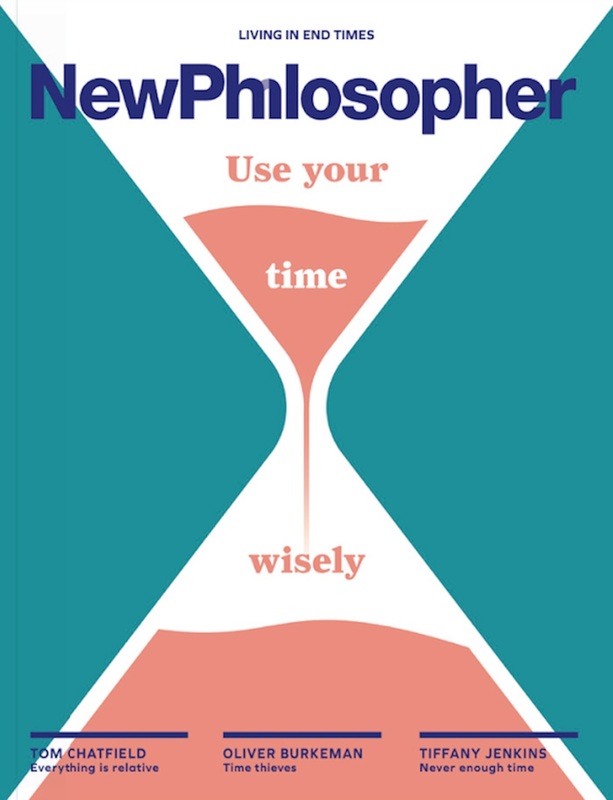 ‘New Philosopher is an independent quarterly magazine devoted to exploring philosophical ideas from past and present thinkers on ways to live a more fulfilling life. Our aim is to introduce philosophical ideas that challenge contemporary thought and conditioning. Are our thoughts and aspirations truly ours? Often do magazines have big ambitions to challenge the current narrative and critically analyse the direction in which society is heading, and it can be refreshing to find one that can deliver. New Philosopher does just that, its latest issue a 132-page serving of dense, thoughtful pieces that make philosophy feel relevant to the diverse world we live in; exploring the pressing thoughts of our time such as existentialism, our personal hourglass and its impact on the human condition, and even diving into the world of theoretical physics with think-pieces on relativity and temporal complexity. We should also mention this beautiful magazine is printed in full colour, filled with photographs, original artwork, cartoons, paintings and much more. Labelled as a magazine "for curious people looking for solutions to the fundamental issues faced by humankind", it caters for those who have not studied philosophy, as well as philosophy students and academics, with a concept it seems born out of a culture interested in mindfulness and self-reflection. You absolutely don't have to be a philosopher or have a degree in critical theory. You just have to be human with an open mind, curious of the world around you. As you can imagine, issue 22 makes for a thought-provoking read, and we can't wait to see what you think of it, too. 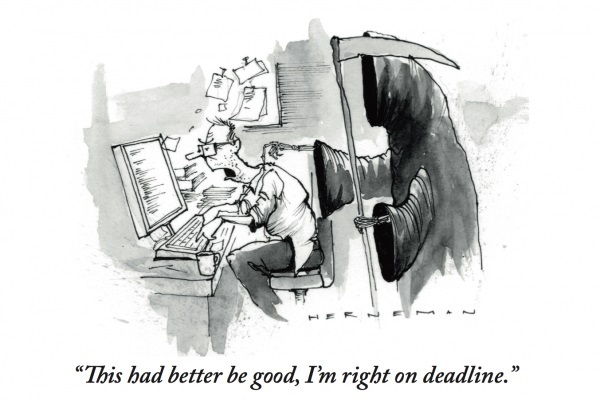 We promise – your time won’t be wasted! ‘Philosophers from Seneca to de La Bruyère have written on the brevity of our lives, exhorting us to use our time wisely – to guard it as we would a precious possession. Unlike possessions, however, time is irreplaceable. It’s not something we can work hard for, stumble across, inherit, borrow, or steal. It simply passes, or, as Steve Miller sang, it “keeps on slipping, slipping, slipping into the future”. We hardly need reminding that our time is limited. Yet despite this knowledge, we often senselessly waste it or simply wish it away, distracting ourselves so completely that we lose sense of the passing hours. It need not be this way. 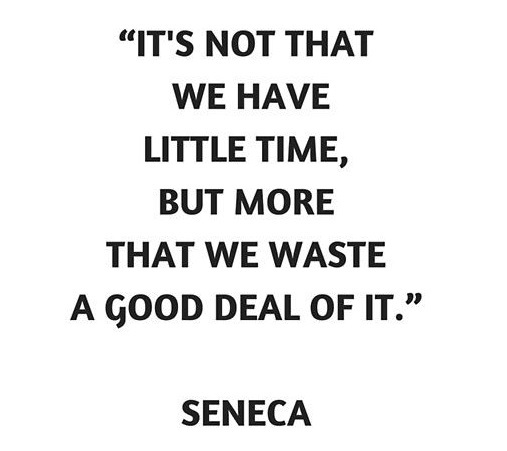 As Seneca advises, be not wasteful of your time, “the one thing in which it is right to be stingy”, instead you must “be more careful in preserving what will cease at an unknown point”.